Tile options are virtually endless when you consider all combinations of size, texture and color. Simply put, there’s something for everyone, for every style. Plus, tile is durable and easy to care for so it’s ideal for high-traffic areas or areas where there’s moisture or dirt, such as bathrooms or entries. 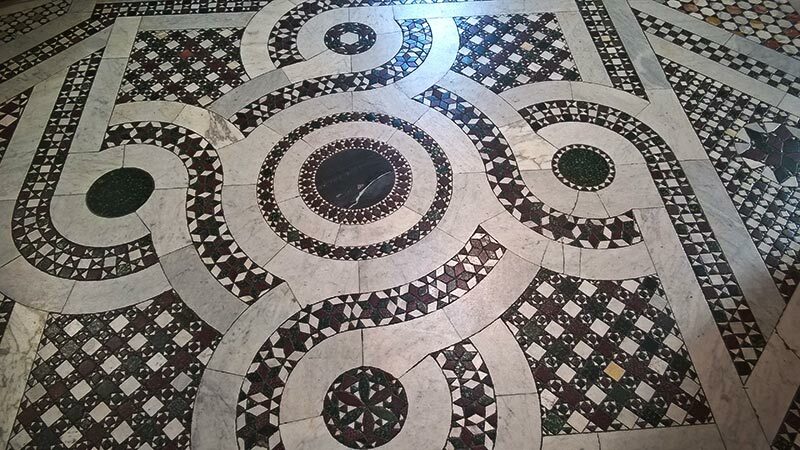 Floor tile is usually 1/2 inch to 3/4 inches thick, manufactured in squares measuring 4-inches-by-4 inches up to 24-inches-by-24 inches. Other shapes are available such as octagonal and hexagonal. (Wall tile is thinner and comes in squares from 3-inches-by-3 inches up to 6-inches-by-6 inches.) Mosaic tiles are 2 inches a square or smaller and can be installed individually. Mosaic tiles are also available in premounted paper or fabric mesh sheets. Choose a tile that’s rated for the area where you plan to install it. 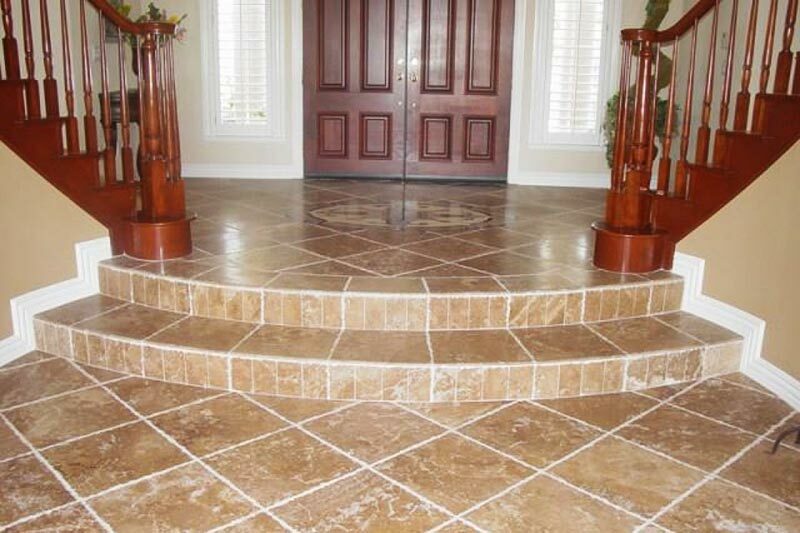 Entryways need a hard, abrasion-resistant, moisture-proof tile. 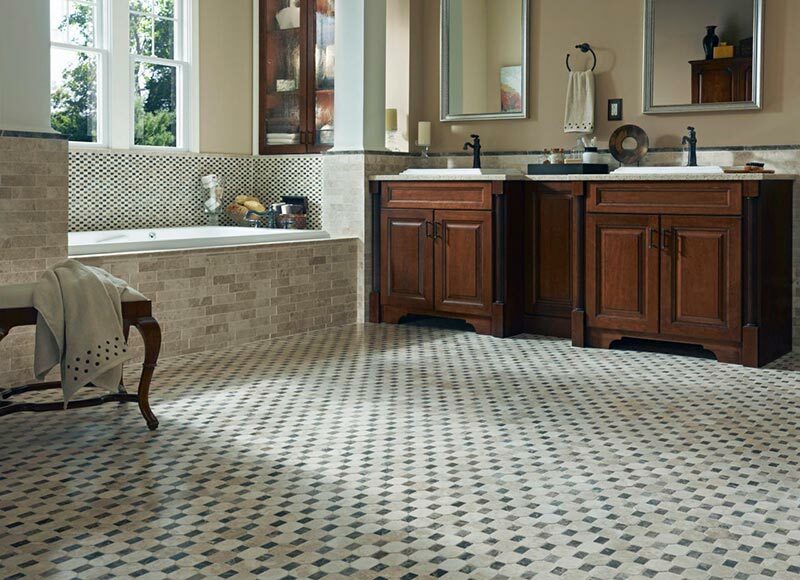 Baths require a moisture-proof, nonslip material (slip-resistant tile is treated with an abrasive material for safety). 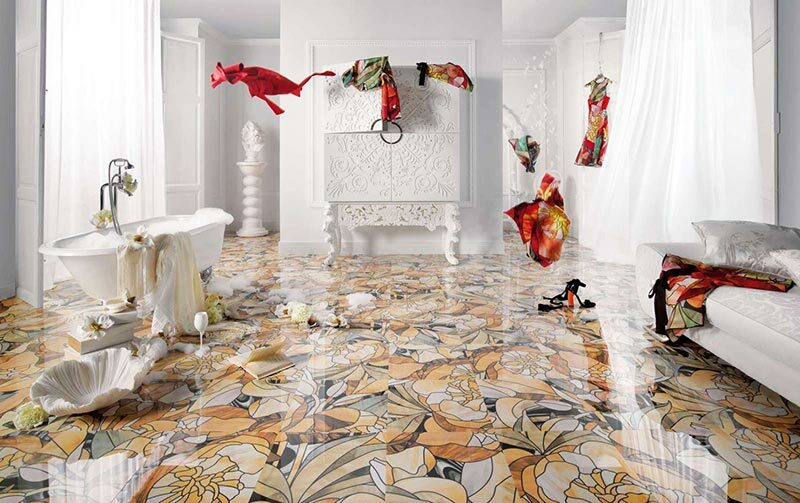 Some tiles are rated for indoor or outdoor use only; others can be used in either application. Some types of tile are actually harder than others so tile is rated by a series of standardized tests. These tests evaluate a tile’s relative hardness (the Mohs scale), its ability to stand up to wear and the percentage of water absorbed. These ratings are important, but don’t get too bogged down in analysis. They serve to help you find the right tile for your application. Pay close attention to the ratings test that measures porosity, which is the percentage of water absorbed. A tile’s porosity is critical especially when choosing tile for kitchens and baths, since these areas need moisture-proof flooring. Porous tile shouldn’t be used outdoors where cold weather produces freeze / thaw cycles. The classifications for the porosity of tile are: impervious (least absorbent), vitreous, semivitreous and nonvitreous (most absorbent). Beautiful clay brick flooring is unmatched for its combination of durability and character. Brick tiles are a good floor choice for informal or rustic decor. Available in several earth tones, brick tiles should be treated with a stain-resistant sealer. When considering reclaimed brick for a flooring tile, the use of a sealer is not absolutely necessary, however, it is often a good idea and will ultimately enhance the overall look and feel of the floor. Brick is normally used in outdoor settings (such as patios) and can be arranged in interesting geometric patterns. Cement-bodied tiles are poured into molds, then fired or dried naturally. Color may be added. Sealing is required after installation for moisture and stain resistance. Glazed color is added to the tile after firing. The glasslike surface is bonded to the tile. Glazing allows brighter colors to be used and adds stain resistance. Because of their slick, glassy surface, glazed tiles are used mostly on walls or countertops. 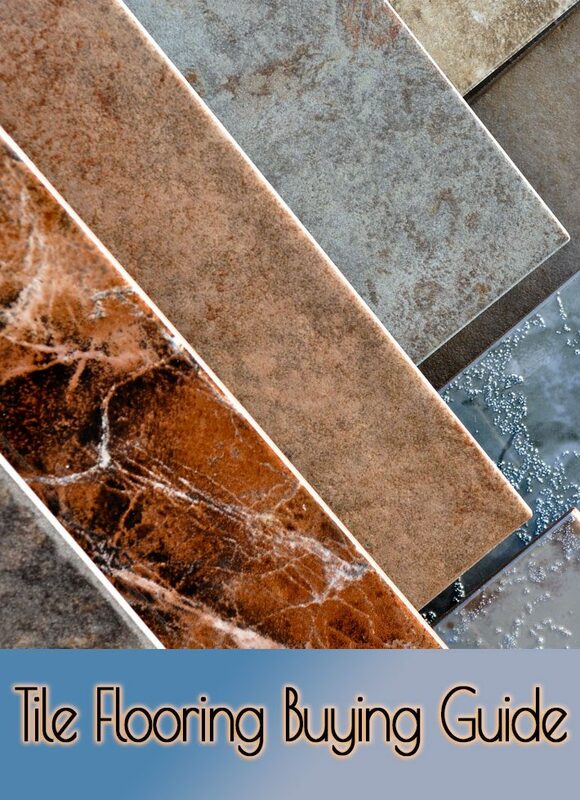 Glazed tile offers more color choices than unglazed. Unglazed tiles are also called quarry tiles. The pigment or natural color is present during firing and is part of the tile itself. Unglazed tile needs sealing for stain resistance. A combination of tiles that can be composed of ceramic, glass, metals or other elements mounted on a mesh backing for ease of installation. Mosaics take on a variety of patterns and can be cut to a desired size. Pavers resemble brick but are thinner. Shale-based pavers are used for patios as well as interior floors. 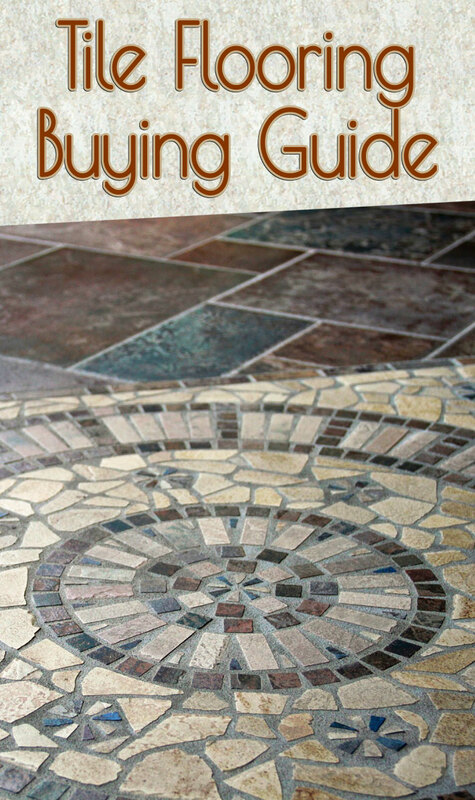 Like quarry tile, pavers need sealing for moisture and stain-proofing. The material is fired at a high temperature, making a dense tile. 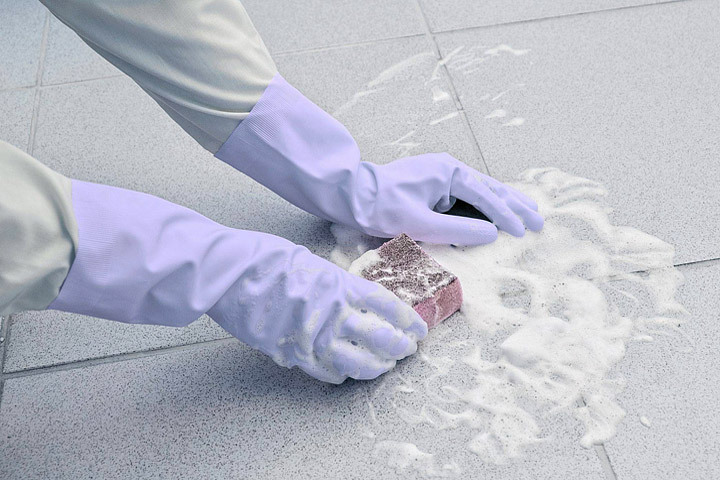 The density makes porcelain tile more resistant to moisture. 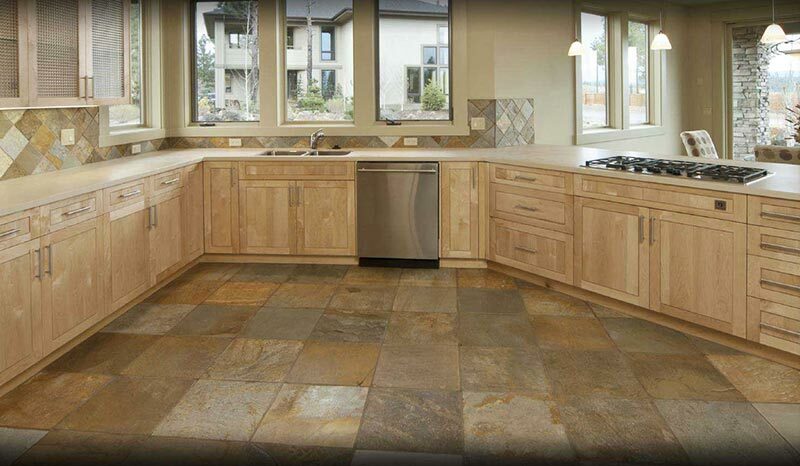 Quarry tile is unglazed and requires sealing in wet areas. 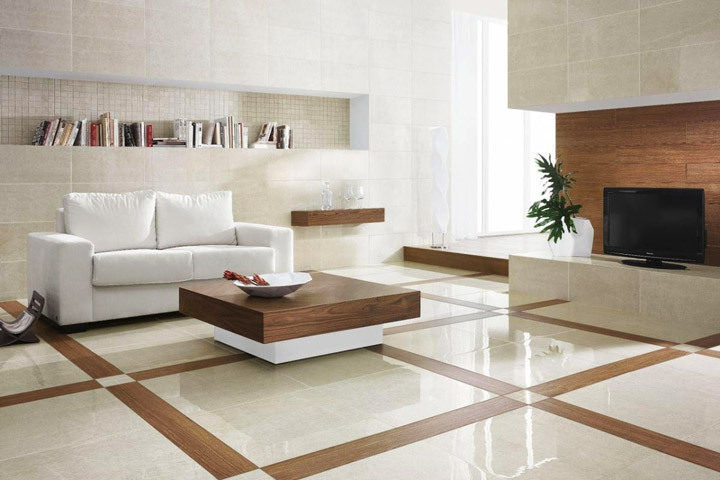 Clay-based quarry tile is used extensively in commercial settings. 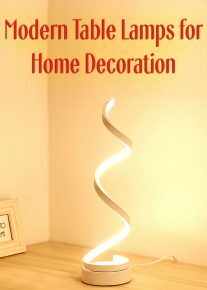 However, because it’s a durable and relatively inexpensive material, it’s becoming more acceptable in homes. The predominant colors are earth shades of red and orange. Saltillo, or Mexican tile, is air-dried rather than kiln-dried. Drying outdoors in the sun makes this tile a little softer and less durable. The exposure to the elements also gives the tile a look that’s unique. 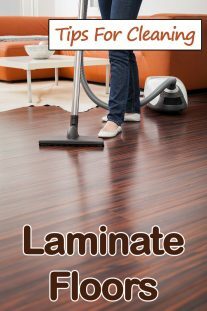 When used indoors, a sealer is required. Terra cotta is the same material in construction and appearance as clay garden pots. These tiles are absorbent and need to be treated for indoor use. 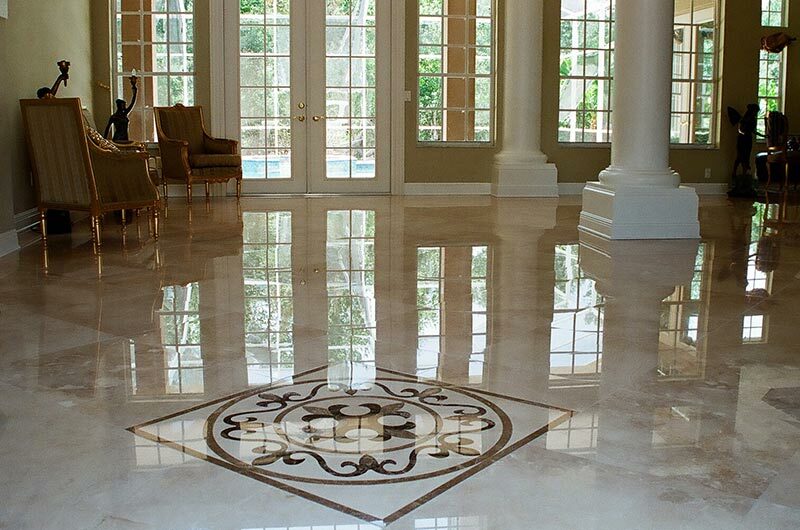 Stone or marble chips embedded in cement make up a terrazzo floor. The polished surface provides durability. 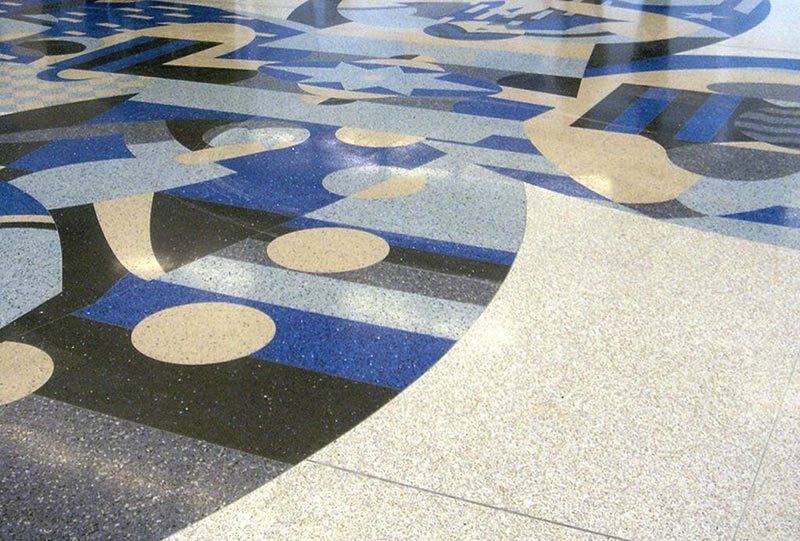 Some terrazzo does not support microbial growth, which means it creates a naturally more sanitary surface and promotes a healthier indoor environment.